Ashley Richardson (Teeside and North Yourkshire TRF) is one of the club's latest recruits. 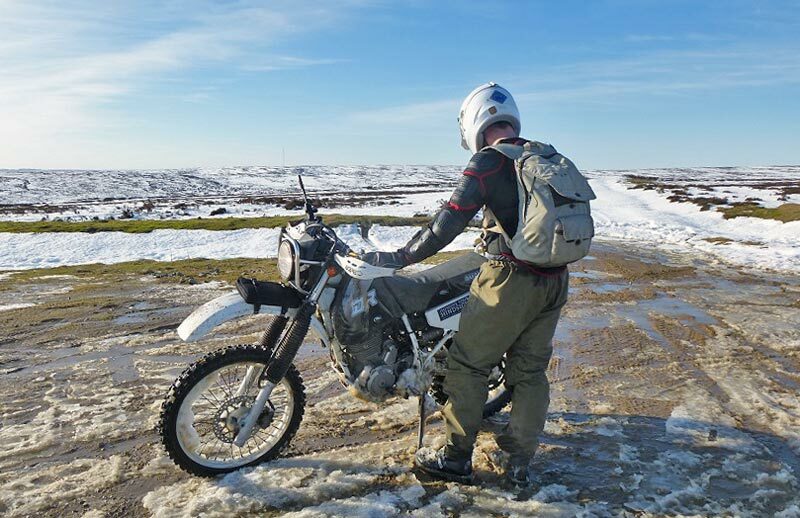 Fresh onto two wheels at the age of 30, his impatience at waiting for the roads to clear of ice and salt put him onto the idea of trail riding. 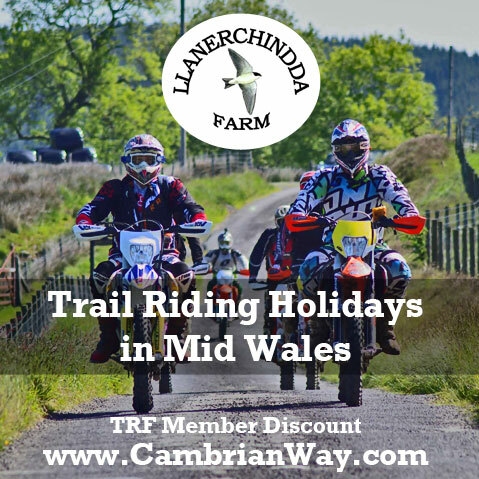 It didn't take him long to find the TRF, join up and get invited out onto his first days riding. Here he describes how he prepared for the ride, the art of falling off and why joining the TRF has been such a good investment. 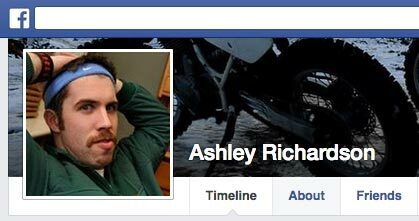 So Ash, I understand you are fairly new to trail riding. 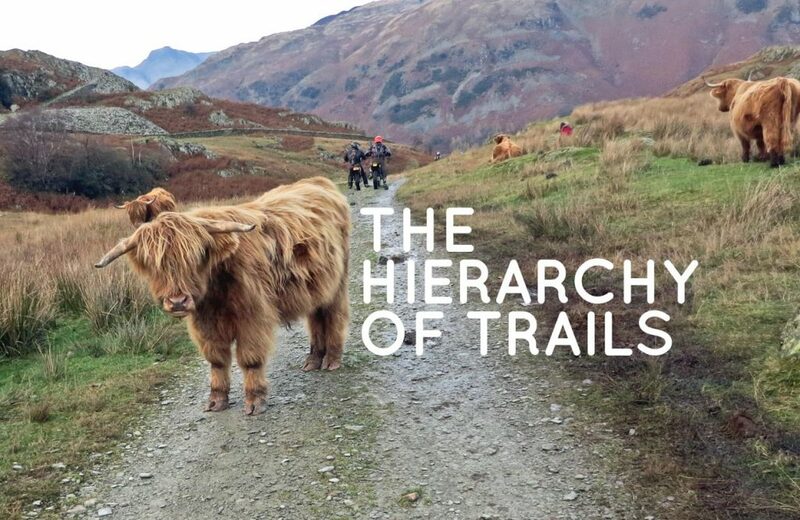 What made you pick up a trail bike and how did you find the TRF? I'm new to all things motorcycle as I only passed by bike test summer last year, I obviously felt on top of the world when I passed and often went out with my dad road riding. 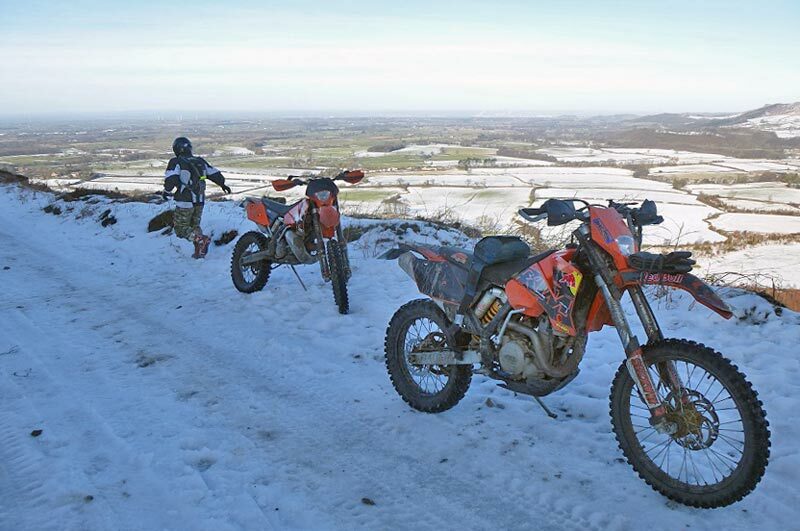 Then when winter set in people tend to put their bikes to bed to avoid the ice and salt that ensues (and they did! ), but I was still keen to get out. 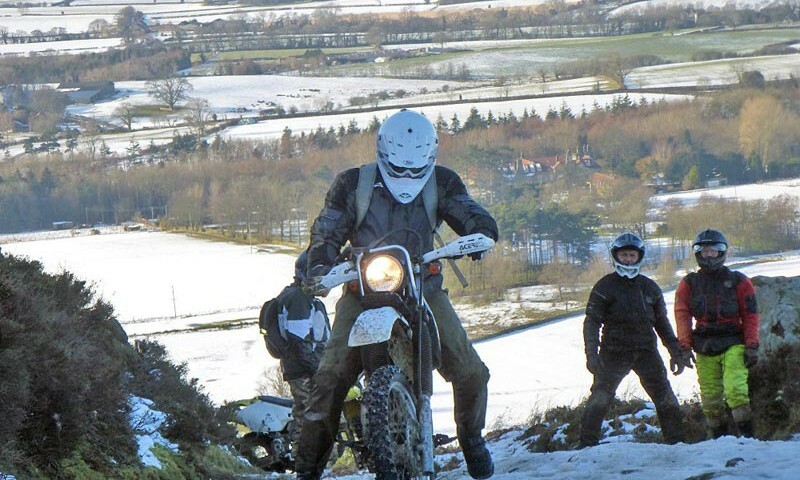 Fortunately a friend of mine is a keen track day rider and also starting dabbling in this thing called 'green laning' and was regaling stories of coming home up to the eyeballs in muck but still with a grin on his face which got me interested! Then, what feels like probably the next day, my copies of Ride and Bike magazine arrive and there are articles on trail riding and green lane riding with a nod to the Trail Riders Fellowship as a good source of information and mention of organised rides out. I joined the TRF then put a post on the forum asking for advice on budget bikes suitable for the task. 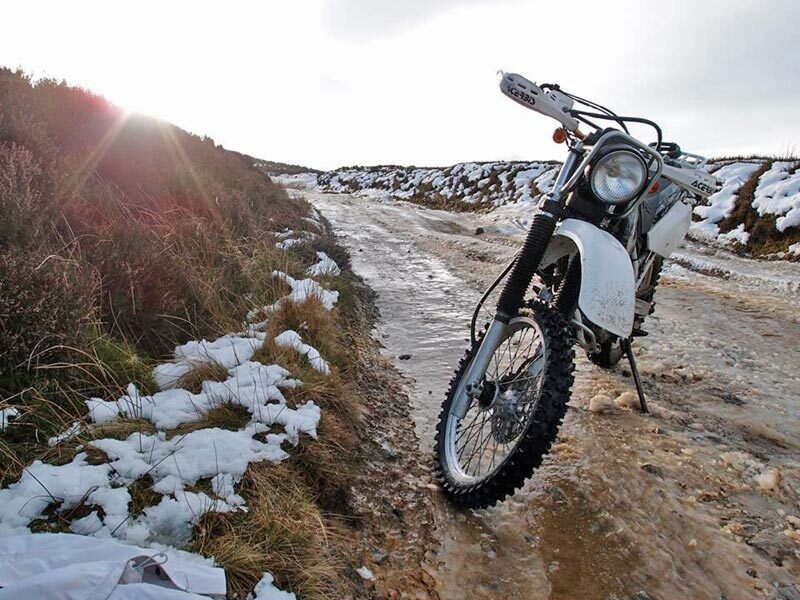 Probably another week later a message arrives in my inbox from a nice bloke from up past Blaydon reluctantly advertising his DR250 for sale, then a week or two later and a few hundred quid lighter I'm out in the middle of winter with the lads skitting around on snow and ice. I wouldn't be doing this on a road bike! That's a great intro, it makes me think we should check to see if TRF memberships go up in the winter. The fact that you can ride all year is certainly a massive bonus, and if you can put up with the cold it makes the same old lanes feel new again with different conditions. 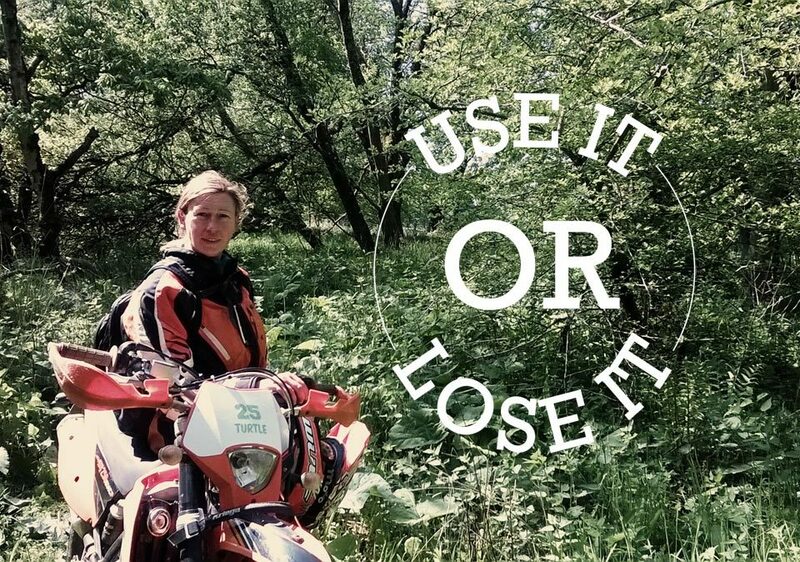 So, you got the DR250, how did you find it to ride? What is it like to live with? 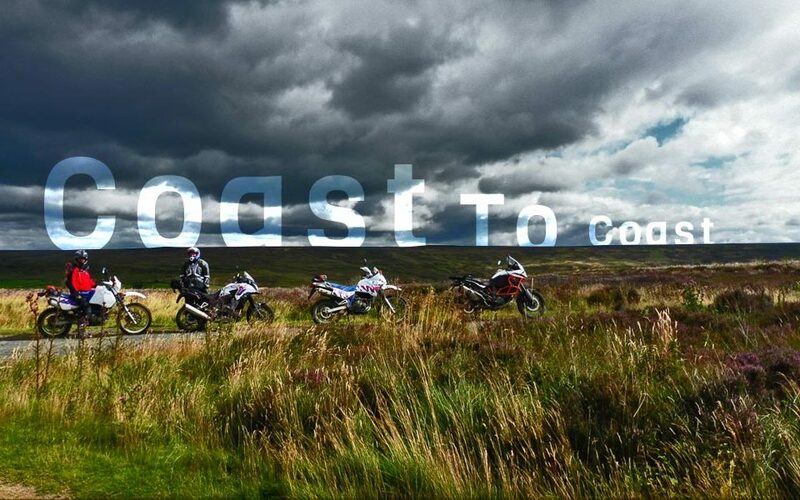 And most importantly, how was your first ride out? To be honest the cold isn't an issue when your trail riding, it wasn't for me anyway. It's a workout keeping the bike upright and getting it back upright after the many inevitable falls so I found myself down to a long sleeve shirt and body armour in near freezing conditions and still sweating profusely! Anyway the bike is my new love, not the newest or lightest bit of kit but utterly dependable and gets some looks with the big 'proper' headlamp and steel crash cage surrounding it. The smaller 250cc four stroke motor is plenty powerful and it's forgiving and easy to ride, I've had a quick go on a 450 KTM and to be honest I think it's too much for the type of trails we're riding and more of a handful, I'll keep the Suzuki as long as It remains reliable. So I got the bike, got the gear and with a couple of lads had a quick run out on a lane they knew, I loved it but they admitted it was getting a bit long in the tooth for them not knowing where else to ride having used this same lane many times but not venturing out anywhere else. Being a member I thought it a good idea to attend a TRF meeting and do some networking to figure out where to ride. We got talking to Leo at the local group meet and he suggested we join a newbie run he was organising so me and Tony (one of our group) signed up for the ride. I can't speak for Tony but I was worried about having all the right kit with me, making sure my bike wasn't going to give up the ghost and most of all been left for dust by a group of well versed riders. I spent the next week changing the oils, installing new heavy duty tubes, figuring out where to store my spare tube, levers, tools and so on. Luckily the bike had a new chain and sprocket set so no worries there and I took everything else apart and got busy with grease and a torque wrench.......luck favours the prepared and all that. It came to ride day, Tony turned up at my house an hour early, it appears texting sometimes means things can be lost in translation! So we had a brew, got kitted up and set off, handily the ride started only a couple of miles from our houses so it was an easy start, no loading bikes into vans. We rocked up and it was sobering for me to see another 'old' bike in amongst the group, in fact there were a few older bikes from the early 90's which made me feel at ease, and as one of the owners pointed out, "if you're not riding something flash then nothing is expected of you". I found out during the ride it really doesn't matter what bike your on, nobody cares and it's an even playing field when your up to your thighs in mud and snow. Leo did warn us it would be cold, icy and snowy, this is the section of trail I'd been riding before so knew how hard it was but felt confident in my abilities on this part of the run. I managed to get up the first rock section quite quick with just a brief off which gave me time to walk back down and watch and help others tackle it. Lads were cheering each other on, pushing and pulling bikes up the ice and slush covered rock, everyone dug in and made it up the section. We had a short breather and then carried on to the next big rock section, luckily I made it up quite sharpish, this time I took a chance to strip off a bit and cool down with a drink. Leo was off back down the trail to offer advice and help and it seemed we cleared this section quicker than the first. Once the group was back together we carried on, the snow got deeper and the ride tougher. I think we must have learned more about riding ruts in an afternoon than some do in many years! It was slow going but great fun and an excellent learning tool for me, Leo offered up some great riding tips that I put into practise and found myself up the front of the group with a couple of the more experienced riders. The rest of the ride was steady away, one of the riders had a 2 stroke machine that seemed very thirsty on fuel as he ran dry halfway across the moors, he was directly behind me so not knowing about the fueling issue I went back to check on him thinking it was mechanical. He was layed out in the snow, I asked if he was ok and the reply was something along the lines of "I've run out of fuel but I'm glad as I need a sit down!". Between us we managed to donate some fuel and refreshed from the breather we carried on and cleared the trail. We stopped for a refuel in a nearby village and bought overpriced fancy coffee machine beverages, I confessed I'd have paid £10 for a hot drink at the time, it was like angels dancing on my tongue. It was a tough ride due to the weather but still a real good laugh, a great experience, brilliant people to ride with and I learned more on that day than I have since I started riding. Ash this is great, thank you for being so honest! It sounds like you had a great ride out. Just to finish up, what advice would you give to anyone thinking about joining, or if they already have, how to prepare and get out for their first ride? Joining the TRF has been the best investment I've made after buying the bike, without the knowledge that the ride leaders and members share and the information on the forum, I and others would have great difficulty finding routes on our own and probably inadvertently take ourselves on private roads with the ruffling of feathers that follows. TRF membership helped me find a good, reliable bike, taught me some bits and bobs about bikes I didn't know and showed me where to ride. Riding the lanes and getting involved with the local group meetings helped me appreciate the challenges faced by trail riders from other countryside users and that we must try to show ourselves in the best light possible, we are responsible ordinary folk enjoying the lanes and I feel we need to prove this in our actions, as they are - as always - louder than words. 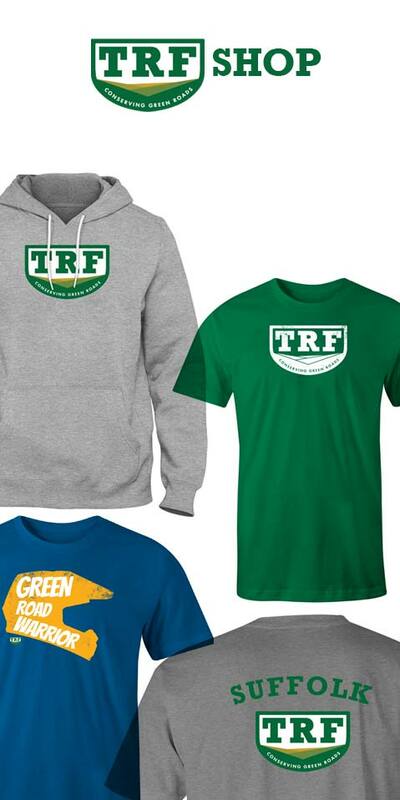 Been a part of the TRF does however give us a bigger voice! If you've never been on a ride before my number one tip is - get to know your bike. 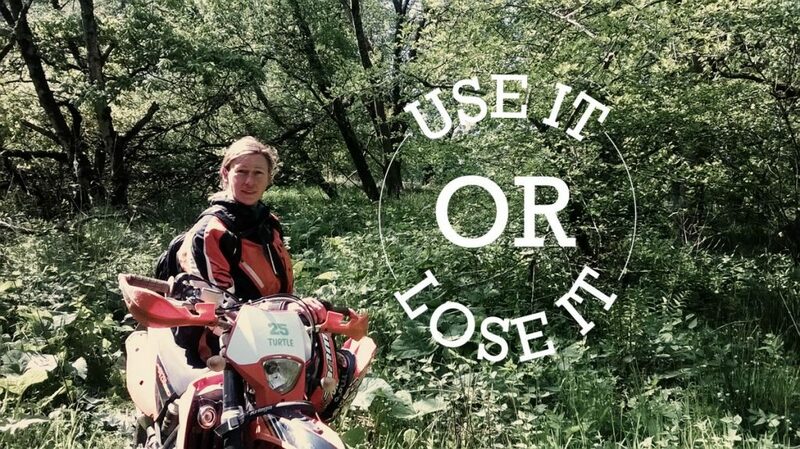 Assuming you have bought a bike just for green laneing and it's not brand new (or even if it is new) you need to know how it works. It'll be disappointing when it claps out half a mile into a ride or even worse refuses to start! Go over everything, change the oils, clean the air filter, check the chain and sprocket, make sure everything is tight and greased up and if your lucky (or unlucky depending on who your talking to) charge your battery or test it so your electric start bike keeps on firing up when you need it to... or get a bike with kick start. Finally remove the wheels, check them, remove the tubes and put them back in and buy a spare tube and the tools to install it. If you do all that you probably have a better grasp of what to do when something goes wrong on the trail, and nothing will go wrong as you've been over it with a fine tooth comb... famous last words. Put all the tools you used to fettle it in a tool roll in your backpack/tail pack, fail to prepare, prepare to fail. The bike is sorted, now kit your self up with decent boots, think MX or adventure boots that offer protection if the bike lands on you, add military gore tex liners or seal skins socks for waterproofing and your sorted. Personally full body armour is a must, days off work are expensive unless your lucky enough to have good sick benefits, I even wear crash pants, you're not doing it right if you don't come off at least once a ride, I don't have enough fingers to count how many times I come off during a ride! Helmet is obligatory, goggles or safety glasses work for me. Then layer up with base layers, a fleece and a jacket. On the legs a base layer and Gore Tex army trousers. For the hands neoprene or wind proof gloves, and a buff or similar to keep the face and neck comfortable. 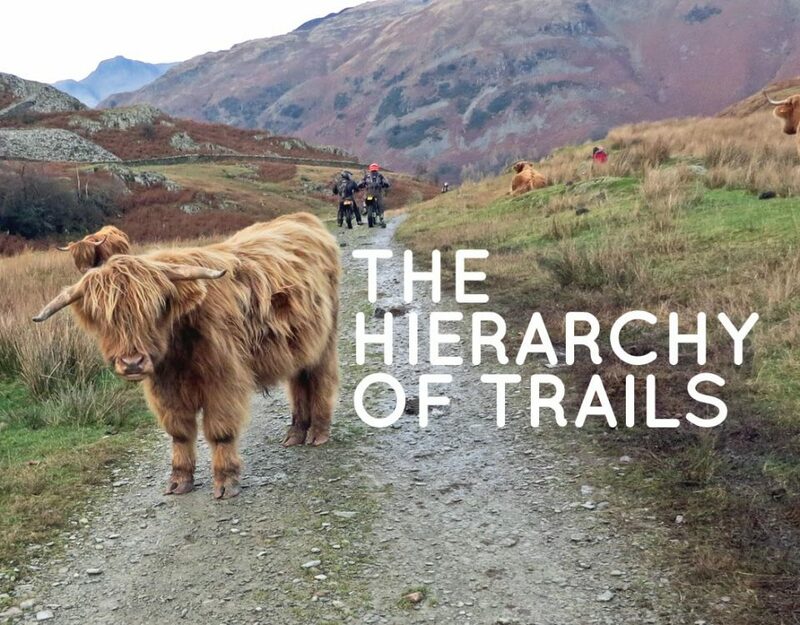 When you're out on a ride treat others as you'd like to be treated, even if they are not on trail bikes themselves. 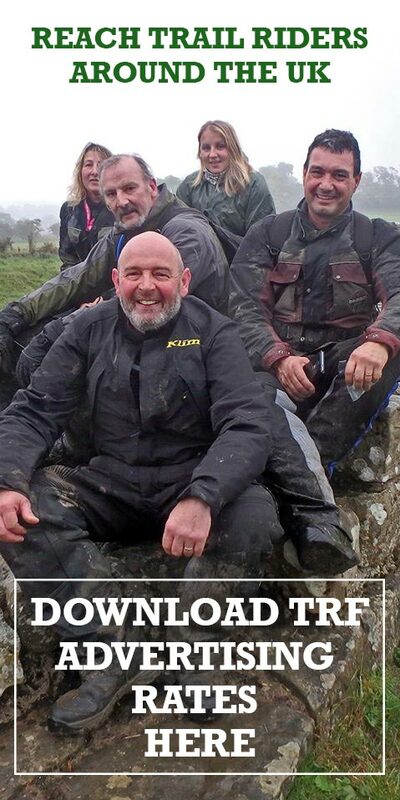 Help other riders out if they are stuck or having mechanical problems and don't be afraid to ask questions, there is a wealth of knowledge in that group your riding with. Finally, I make a point of speaking to walkers, horse riders and farmers, I think it prevents animosity. I've never had a negative experience with the aforementioned so far, maybe we need to be the ones setting the standard...it's good to talk, isn't it? Enjoy riding and get involved is all I can say to wrap up! Ashley's first ride out was with Teeside and North Yorkshire TRF who meet every third Wednesday at the Golden Fleece, Thirsk. 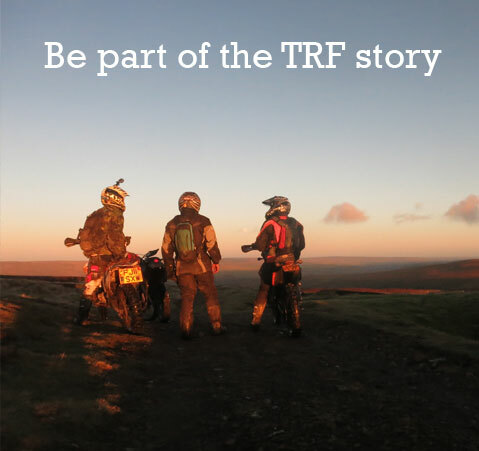 Find out where your local group meet, drop in, say hello and get invited out on your first TRF ride out.